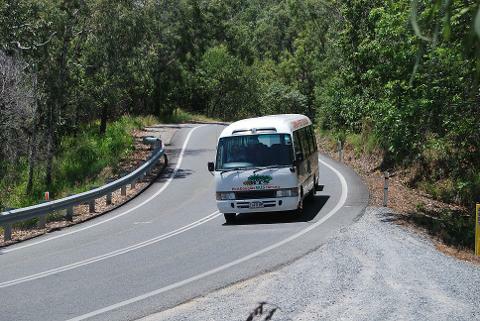 From Port Douglas, follow the Coral Sea coast travelling the Captain Cook highway on a 1 hour scenic journey to Sky rail. Skyrail, cableway glides over the forest canopy for a birds eye of the surrounding landscape, with two stops to view Barron Waterfalls along beautiful boardwalks. 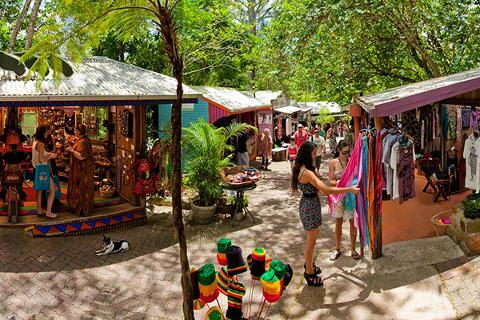 Kuranda Village, "Village in the forest" . Allows 2 1/2 hours free time to browse the village, daily markets and optional attractions such as the Butterfly Sanctuary and Koala Park. 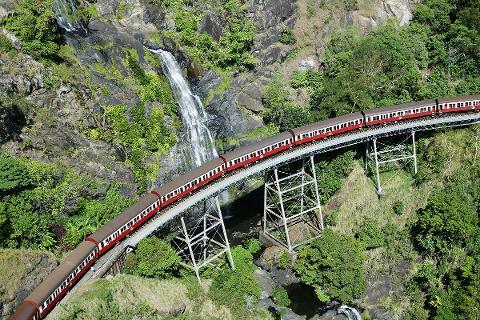 Kuranda Scenic Train, descending down the Barron Gorge, the line passes waterfalls, over bridges, through 15 hand carved tunnels and breath taking mountain scenery. 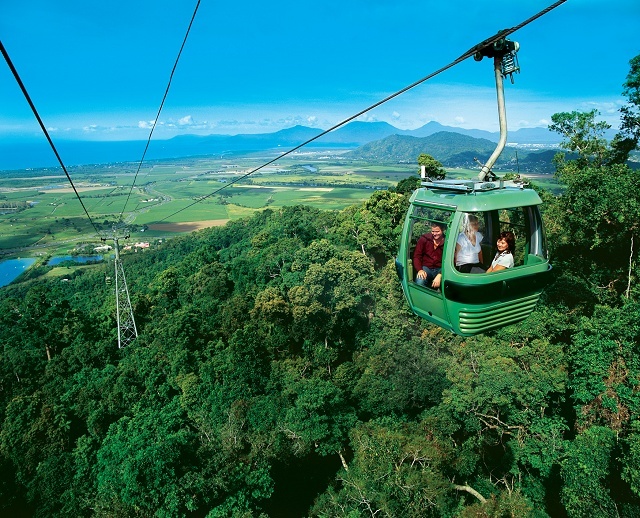 Includes tickets / fares for Skyrail Gondola and the Scenic Train.